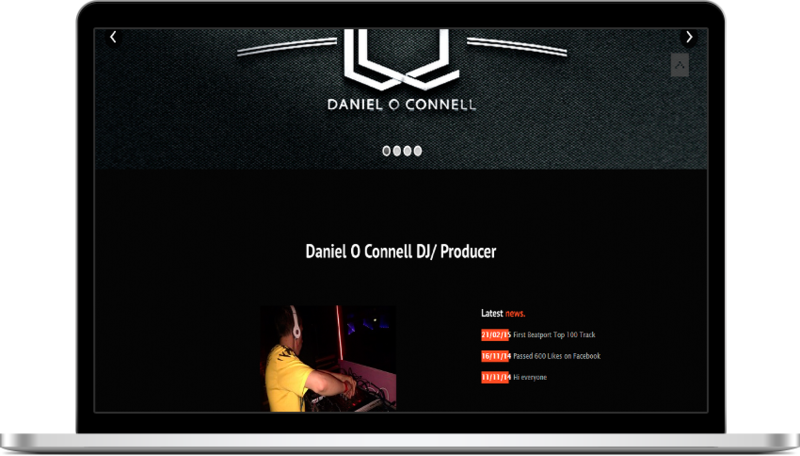 Daniel O Connell came to us to get his website designed. He didnt have a website at that point. What we decided to do was build a website that featured all of his music and songs on the front page of the site, so that each time a new song was uploaded, it would automatically update on the home page also. Another feature Daniel wanted was to have quick links to his Social Media accounts, we picked out the most relevant Social Media icons and ones that stood out to give a more appealing look. As most of Daniel’s audience are young and technology savvy it had to appeal to them. 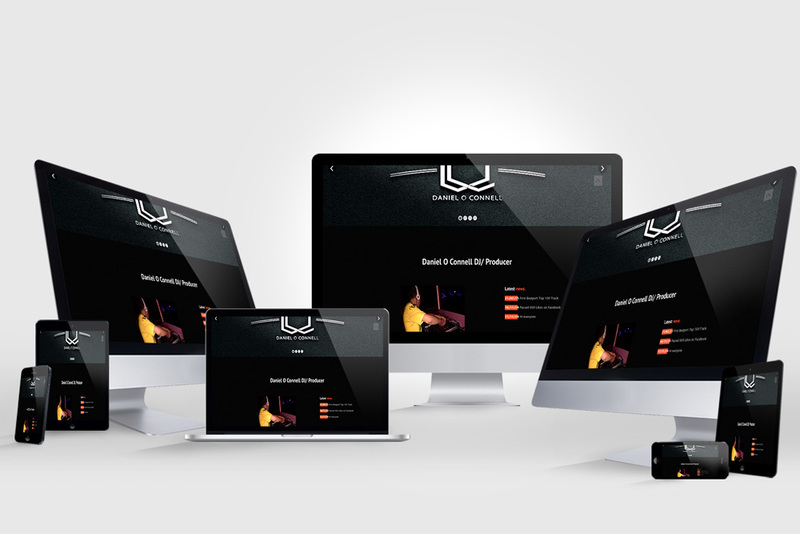 While we only designed the website to give a brief overview of Daniel and his music, there was also enough space for future additions to be made to the website. Since most of Daniels audience are young, the website needed to grab their attention straight away. The first thing that greest visitors to the website is a nice flashy slider animation across the top of every page. 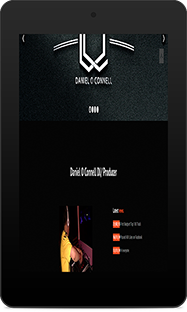 The most important aspect of this website was allowing visitors to access Daniels music, DJ mixes and keep up to date with all the latest news from the Social Media accounts.